Holy cow! 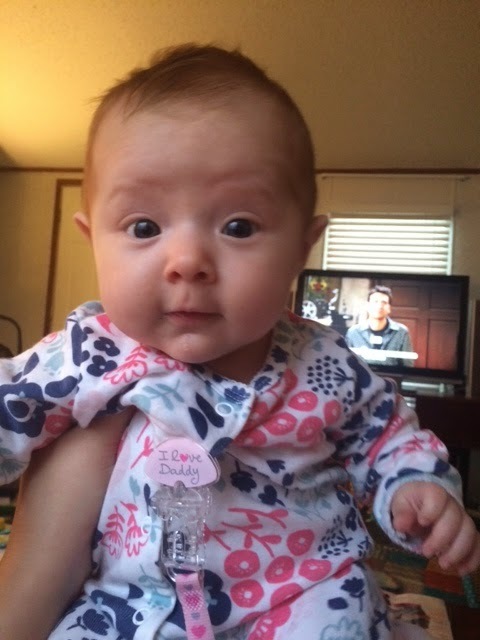 Can you believe this little lady is already three months old?! It just doesn't seem possible! She is such a little firecracker already! 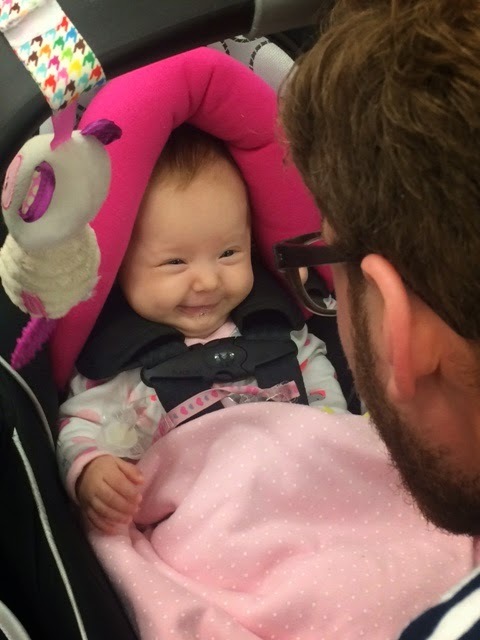 She absolutely loves talking to her Daddy and blowing raspberries. She also loves bath time, batting at her toys and watching the world around her. She has already started rolling over from front to back and is sleeping through the night. 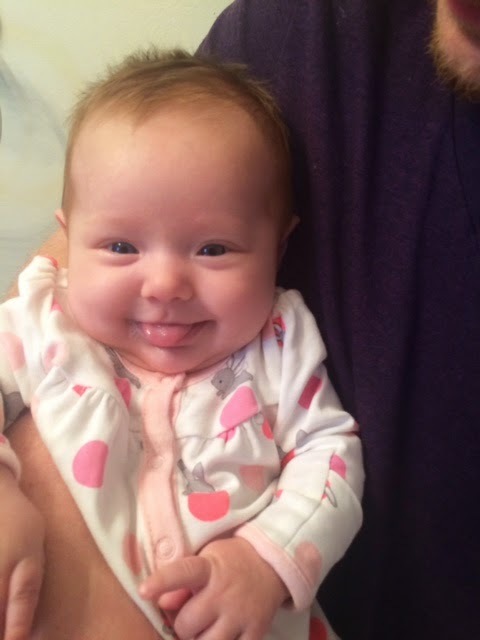 She is such a silly, happy baby and I can't get enough of her!